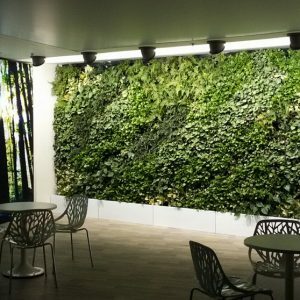 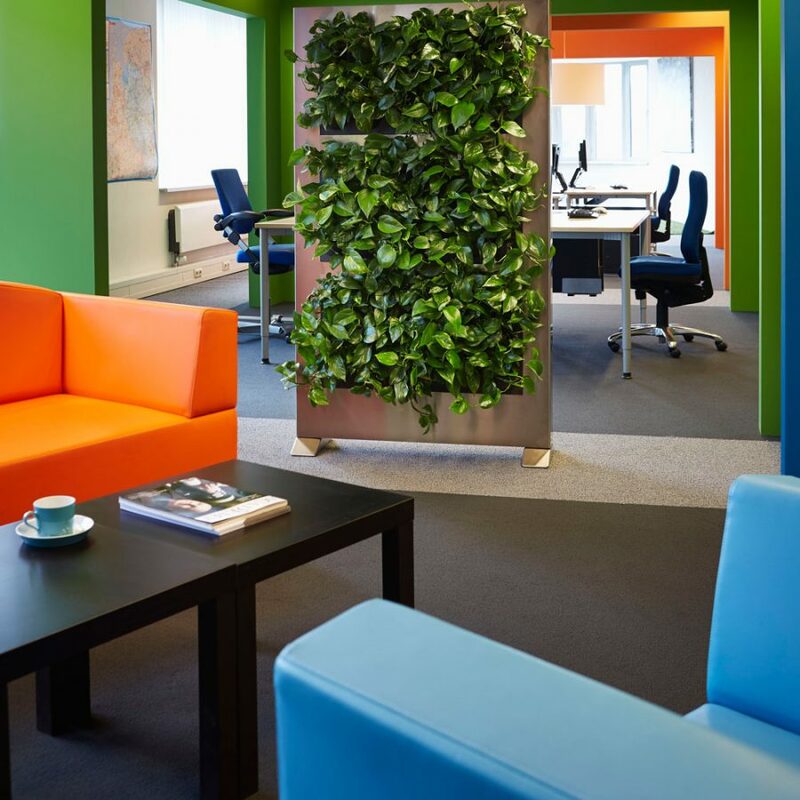 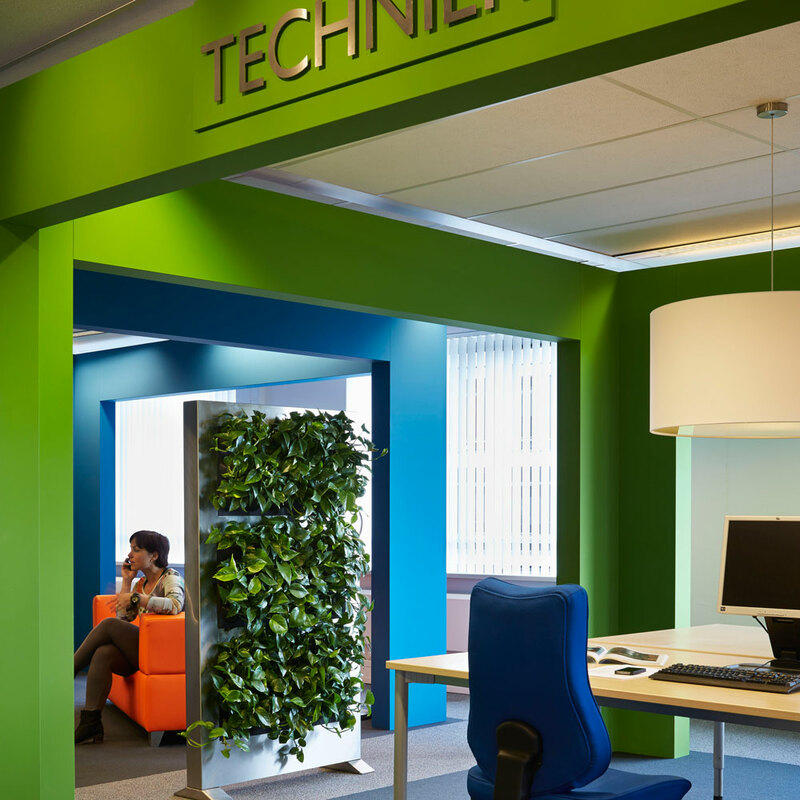 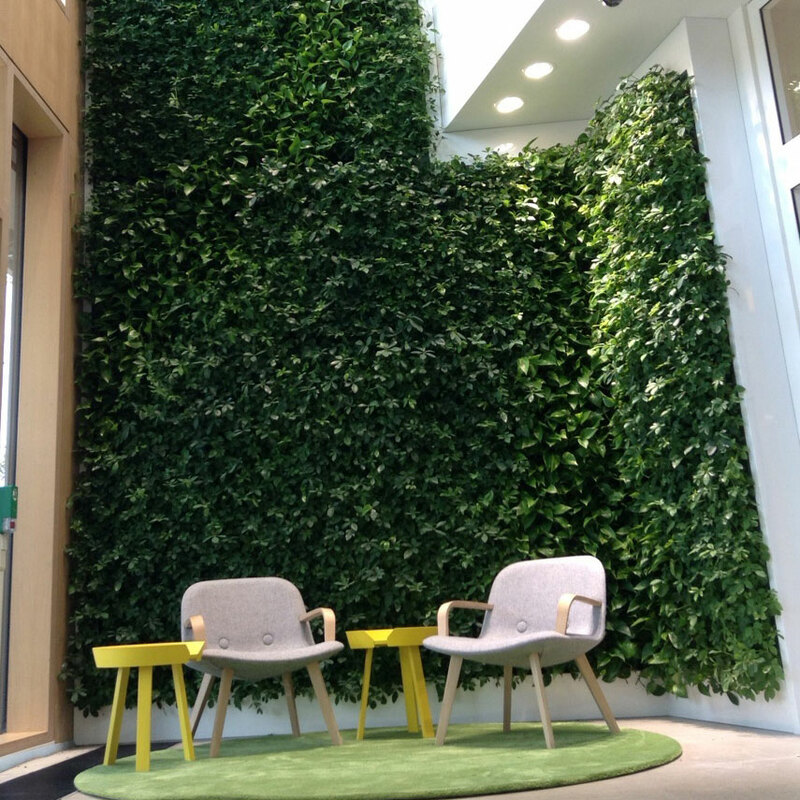 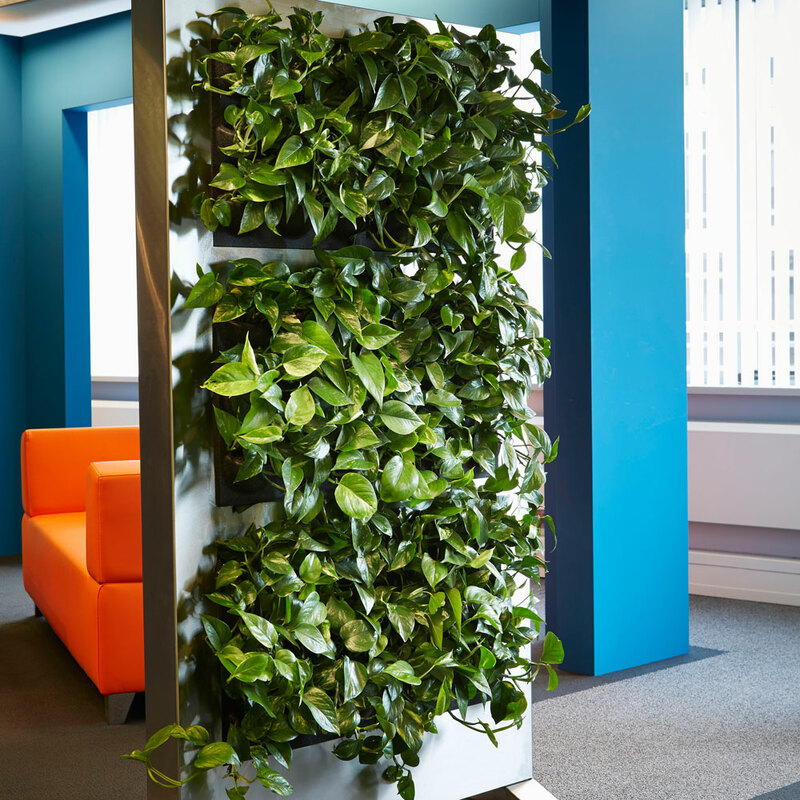 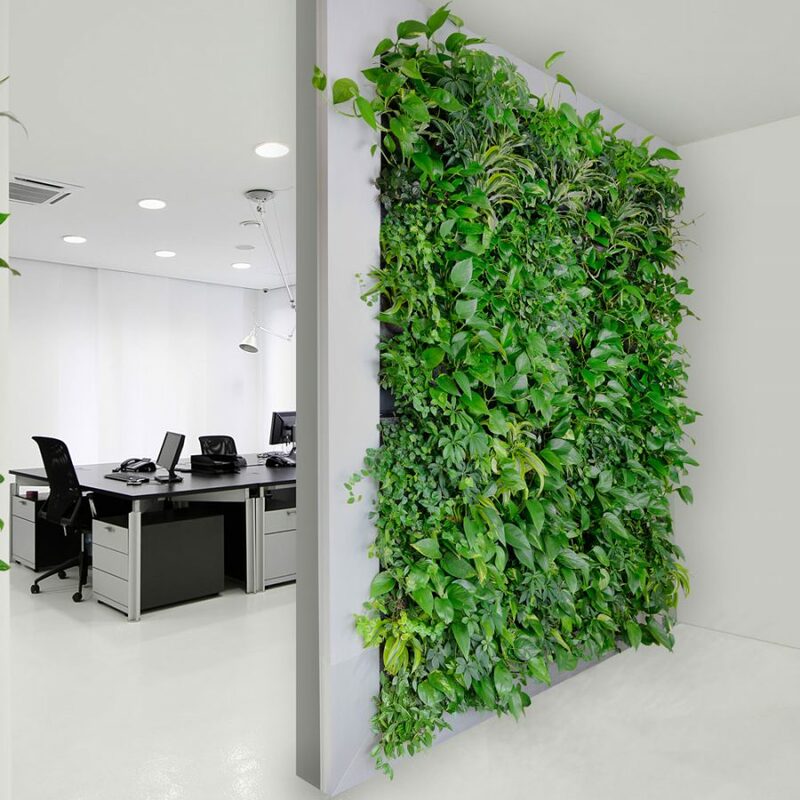 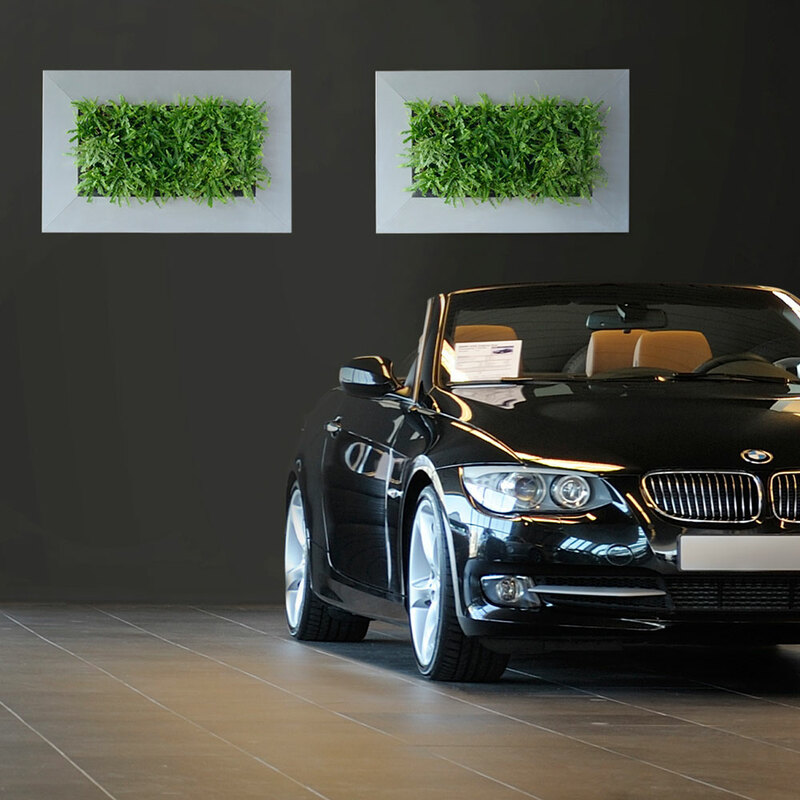 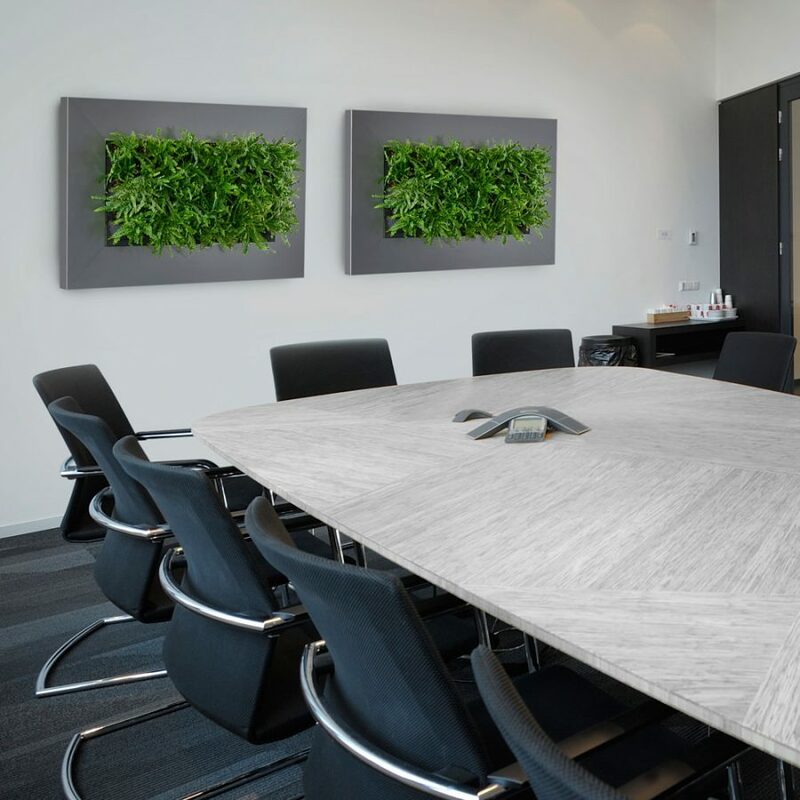 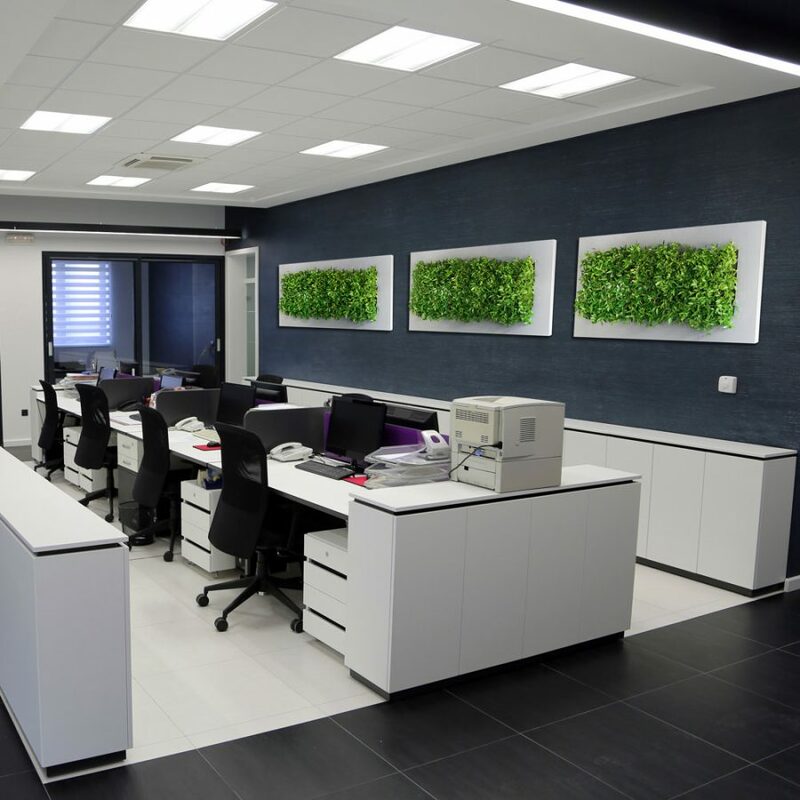 Vertical gardens are strikingly beautiful, unique and original works of living art designed to complement their surroundings.Vicinity Green wall systems are a revolutionary automated modular system that take the hassle and risk out of vertical gardens. 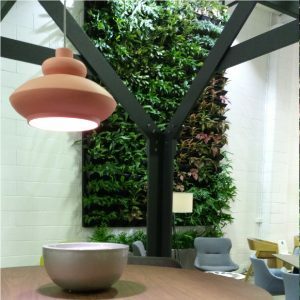 The unique shape of the pots allows for perfect nesting, ensuring minimal gaps between the plants. 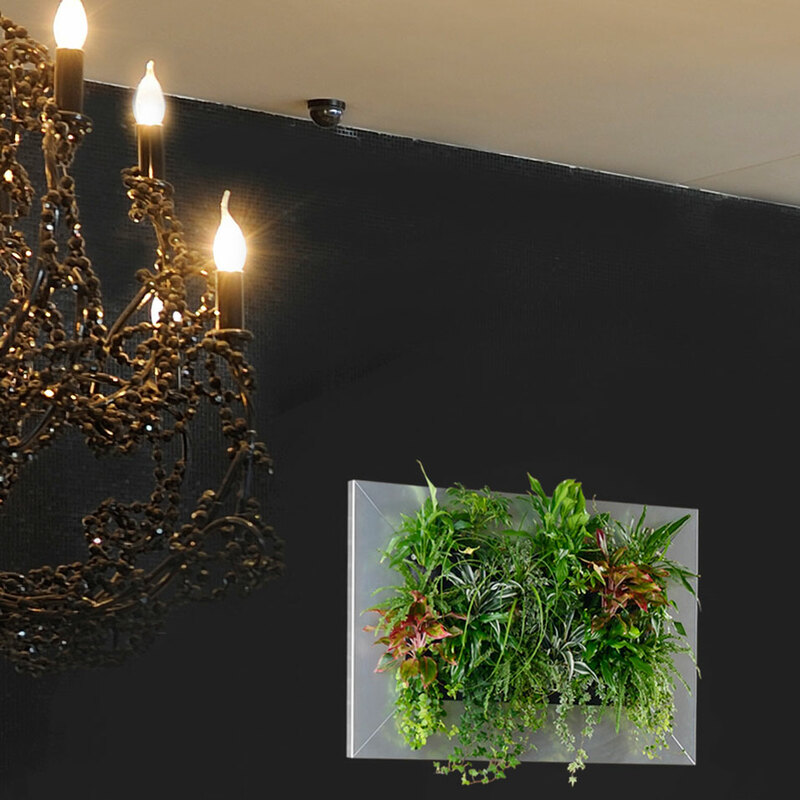 The pot shape allows for very compact planting and precision vertical reticulation. 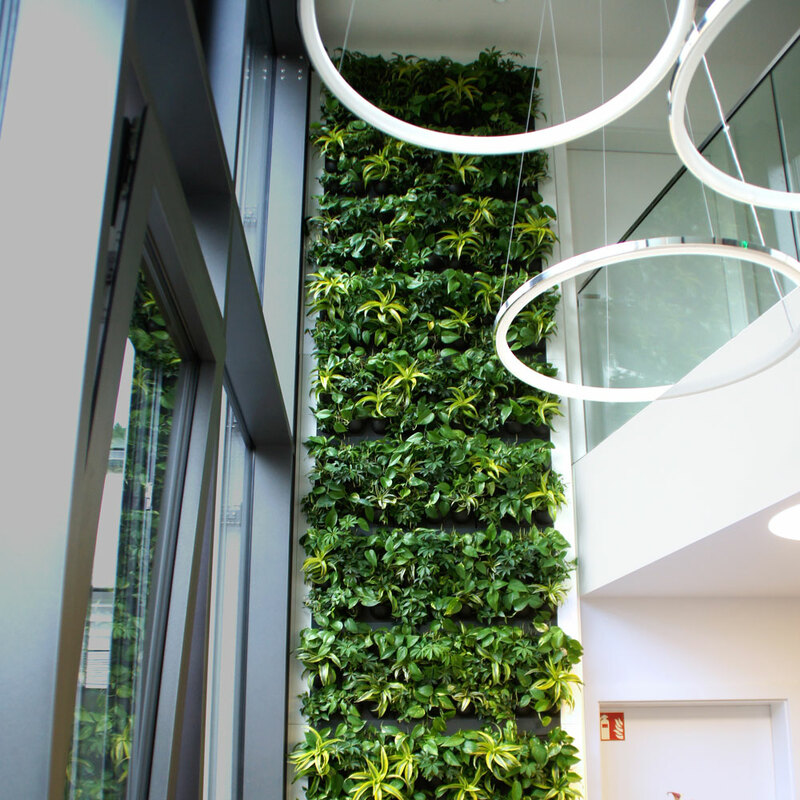 The vertical rails are made from aluminum with individual pot clip sockets to simplify installation, maintenance and vertical alignment. 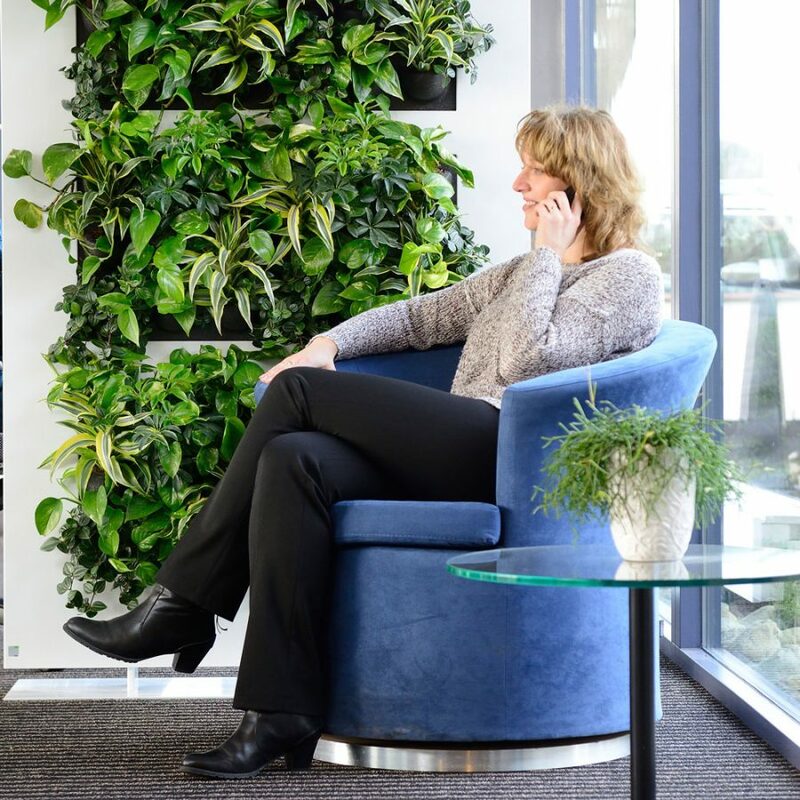 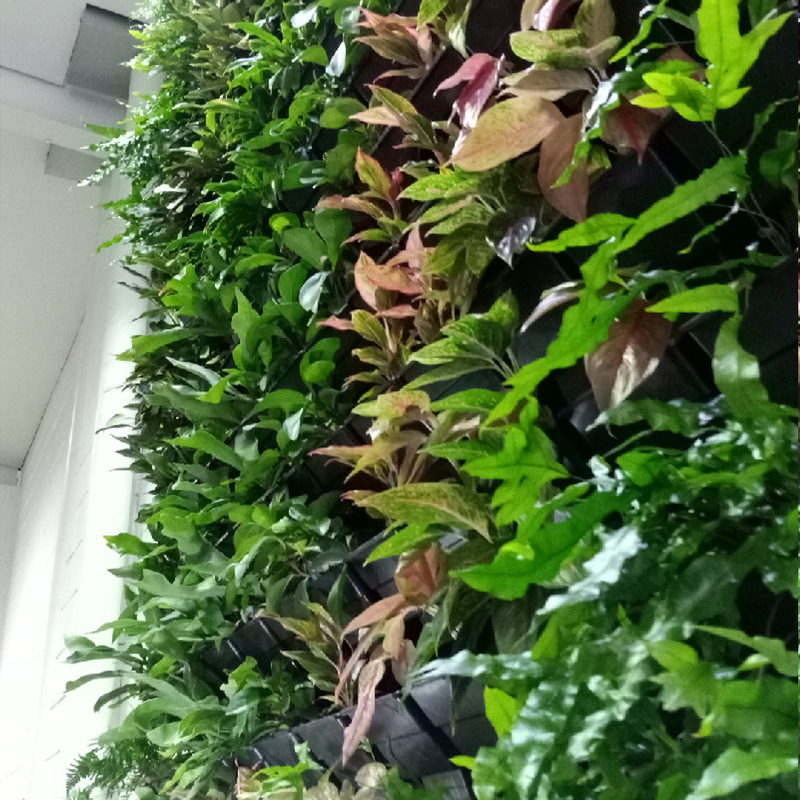 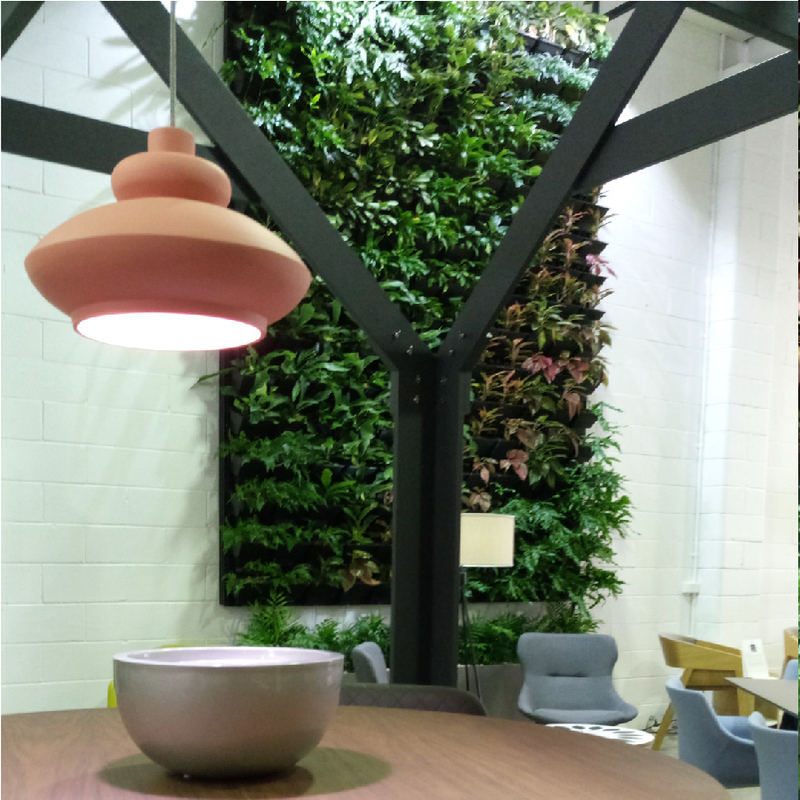 Pot design allows each plant to be potted and grown off site to maturity weeks prior which delivers a fully flushed green wall for the client at installation. 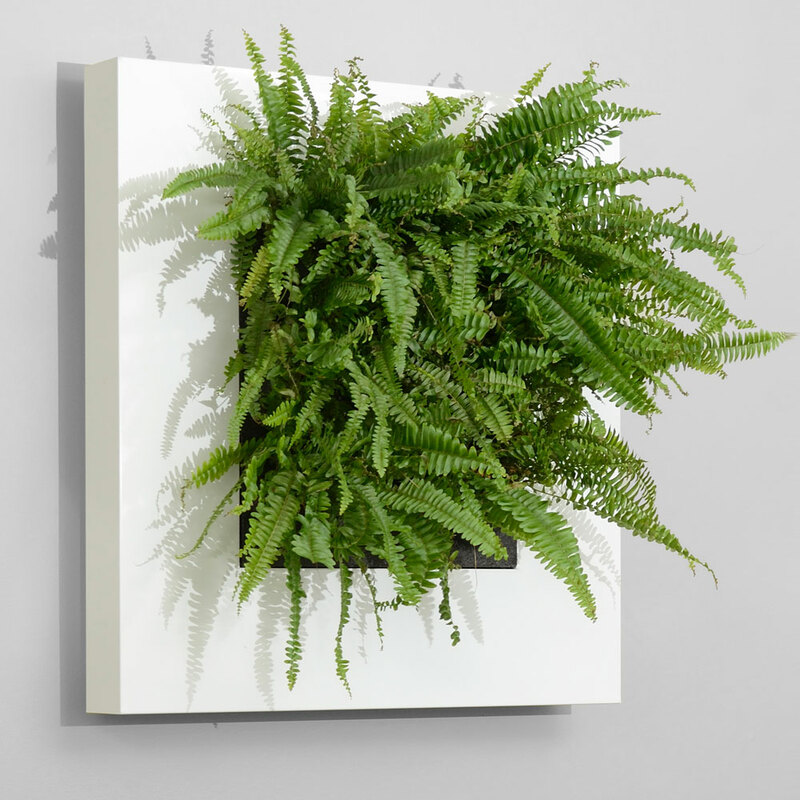 Designed to look lush and full from installation day. 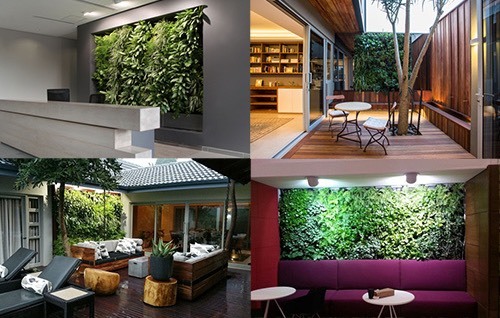 The system is suitable for both indoor and outdoor use. 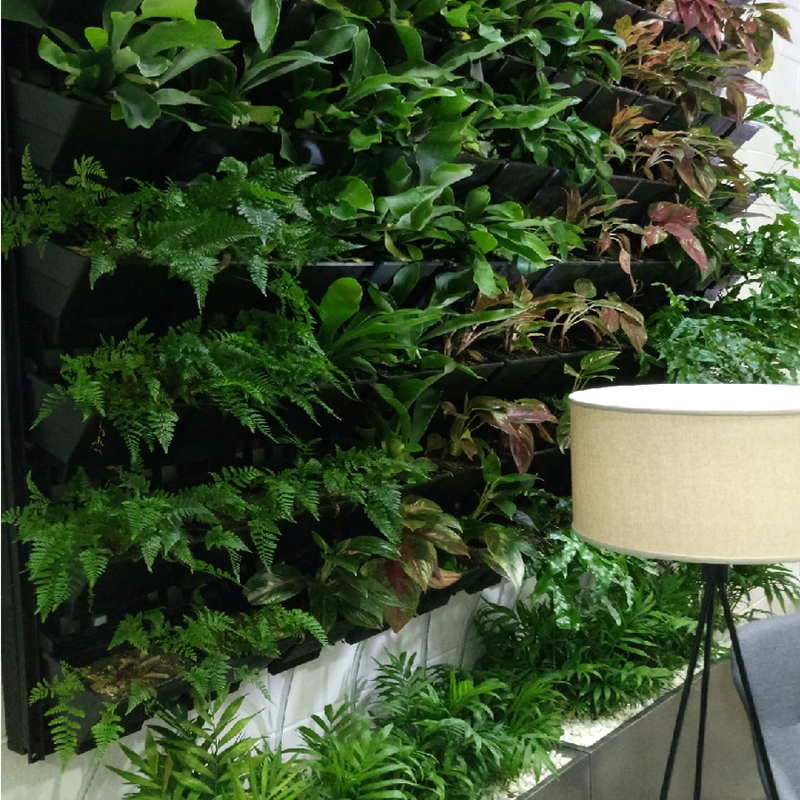 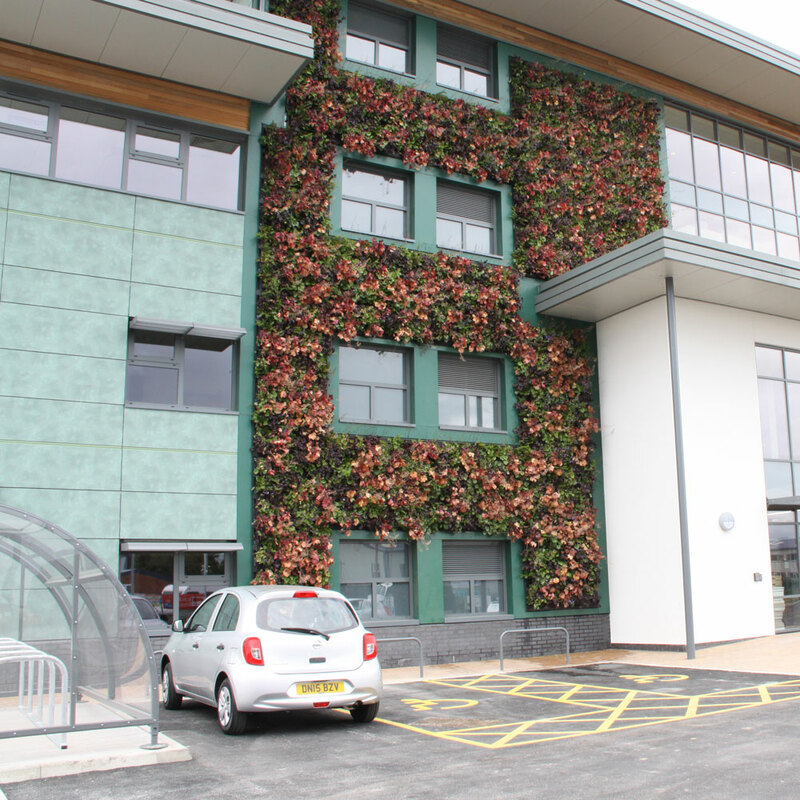 Light, environment and weight must be considered when specifying a Vicinity Modular Vertical Garden. 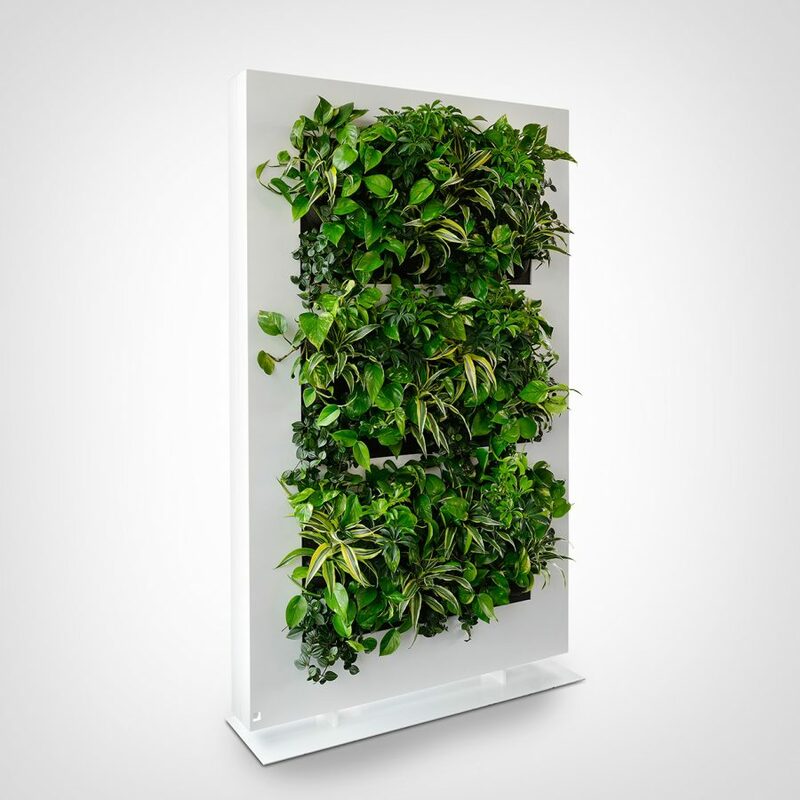 The system is soil-based, which substantially reduces maintenance compared to the common hydroponic vertical garden. 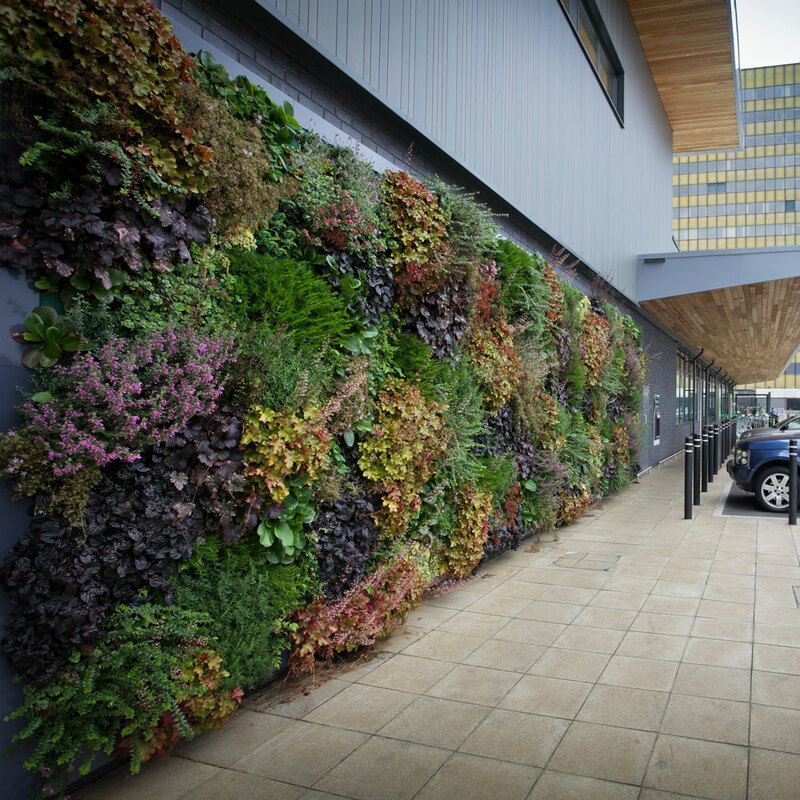 Soil can store water for a longer period of time, ensuring the longevity of the plants should there be any system failures. 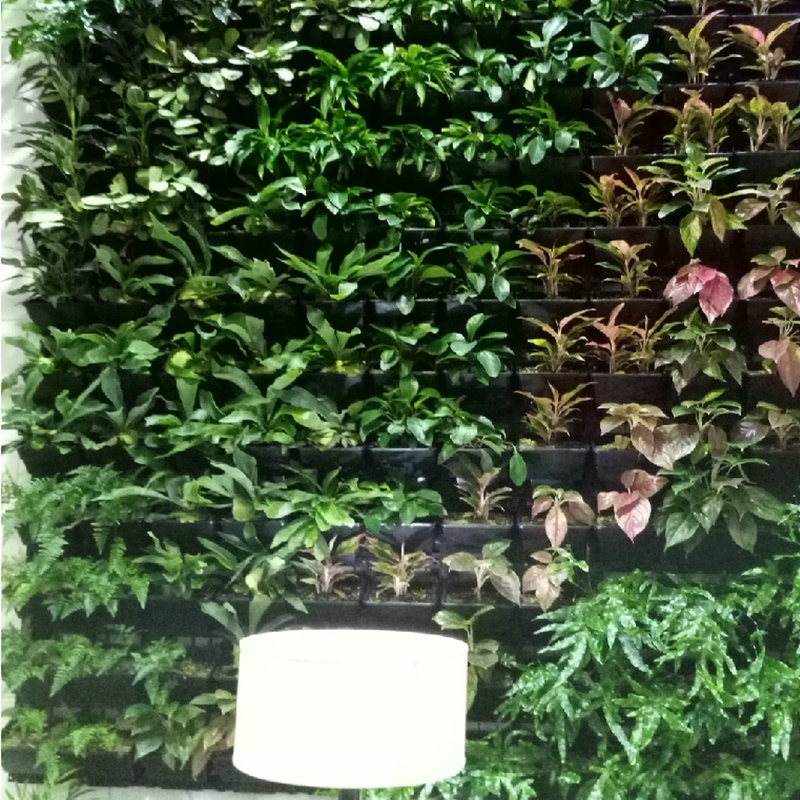 The used water is also collected in the tanks and redistributed throughout the garden. 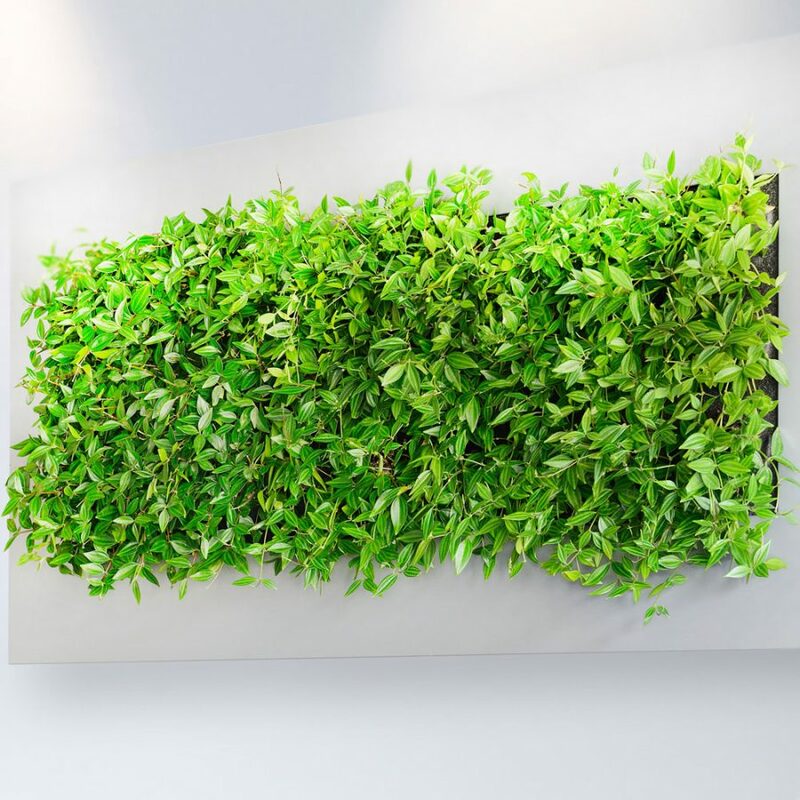 Furthermore, the pot and tank components of our system are made from recycled material.